Stunningly updated 2 story home located in a wonderful Pfafftown neighborhd in a desirable school district. 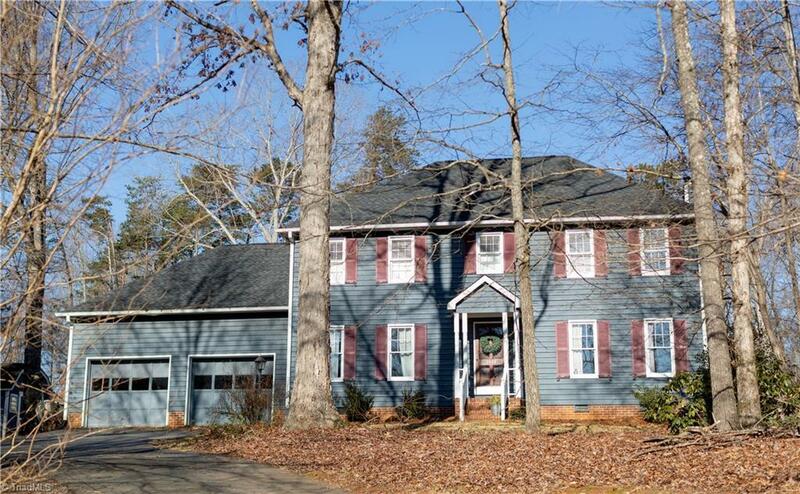 New roof, ML has new wood fls, Kit opens into cozy family rm w/fpl, open concept kit w gas range, large brkfast nook as well as separate formal dinning room. Formal living room private enough to be used as an office. Four generous bedrms, inviting sunrm & deck for entertaining to enjoy the priv backyard. Oversized 2 car gar w/storage & sep outbuilding on a spacious cul-de-sac lot. Home Warranty.